In April, the U.S. government has proposed a list of 1300 Chinese exports and announced to impose 25 percent tariffs on these products, following the Section 301 investigation. Later in July, the Trump administration released the second tranche of additional tariffs on US$ 200 billion worth of Chinese goods. As LED products are included in both tariff lists, LEDinside has continued to follow and analyze the impacts of the tariffs on LED lighting business. The first tranche of tariff has come into effect on July 6. According to previous analysis of LEDinside, the LED products included in the first list are mainly intermediate goods such as wafers and backlight products. The tariff would influence U.S. based companies who have factories in the U.S. and has to buy the intermediate products from China for manufacturing. Lighting products are mainly end-products and the impacts on the prices of LED lighting products are not yet noticeable. “Demand in the lighting market remained sluggish in July, but price decline has not been observed yet”, says LEDinside analyst Terri Wang. 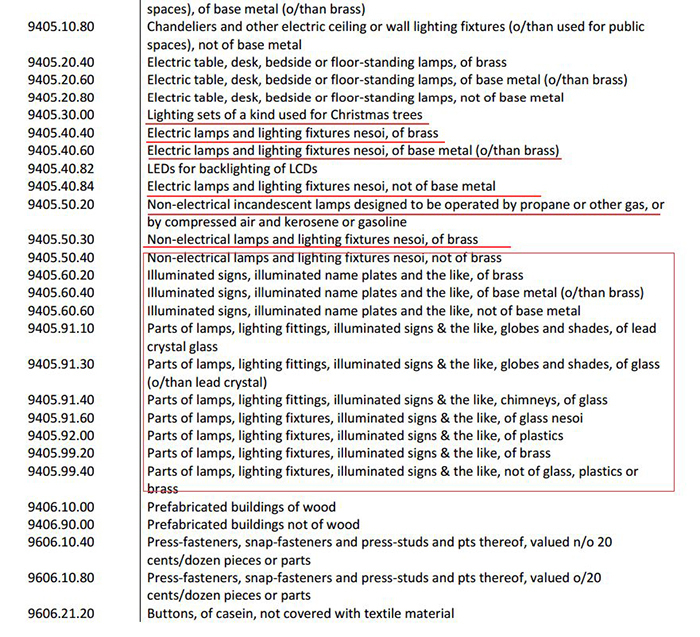 The second tariff will come into effect on August 23rd and it will influence a wider range of LED lighting products as the tariff list included more than ten categories of LED lighting products. These products account for 75 percent of the Chinese lighting exports and the export value of the listed lighting products has reached US$ 5 billion in 2017. Since the U.S. has been an important export market for China made LED lighting products, the impacts of tariff on lighting products will be unavoidable. The U.S. based LED giant, Cree, has unveiled that the company is evaluating ways to mitigate the impact of the tariff. Meanwhile, the company anticipated that the imposed tariff will lower its earning per share by two percent in the first quarter of fiscal year 2019. Another U.S. based lighting company, Eaton, said it will manufacture in the same zone in which they sell the products and will take pricing actions to offset the tariffs’ impacts on the business. Currently, more than 85 percent of LED lighting products are manufactured and assembled in China. Though many LED lighting companies have facilities outside China, the capacities will not be enough for the demands in the U.S. market. Therefore, the extra cost of tariffs will probably end up with higher prices for the U.S. consumers. In the long term, LED producers who own capacities in Taiwan or South East Asia may be benefited as the orders could be transferred there to avoid the tariff. Mexico might be another place to provide capacities for the U.S.
For non-Chinese LED manufacturers, they might continue to face low price competition as Chinese companies might sell less lighting products to the U.S. and turn the remaining products to other non-U.S. markets with even lower prices which will bring impacts on the prices of LED lighting products.